The fire has been controlled and resources released. There may be some mop up for some time. Though there is no official word on containment chatter indicates that things are going very well on the Pine Incident, and resources have been canceled or sent back to the Mendocino Complex. The forward growth of the fire appears to have been stopped and it appears that the fire is under control. Scanner chatter indicates that the fire has grown to 5 to 10 acres, but is holding at a dry creek bed. WILLITS, 8/5/18 -- A new wildfire has broken out in Covelo, dubbed the Pine Incident. The fire is apparently burning along Refuse Rd. in the northwest corner of the valley. Scanner traffic indicates that there are multiple spot fires burning with the largest one being 2 to 3 acres, but that it is boxed in by a couple roads. Multiple structures are threatened, but the fire is reported to have a slow rate of spread. Engines have responded and a substantial number of aircraft are on the way, including planes from the Mendocino Complex, helicopters from the Forest Service, and an air attack plane. There was an initial report that the fire was started as a structure fire, but there is a conflicting report that vehicle may have started a few spot fires as it drove along the road. *Correction: an earlier version of this article said that a structure had been destroyed. 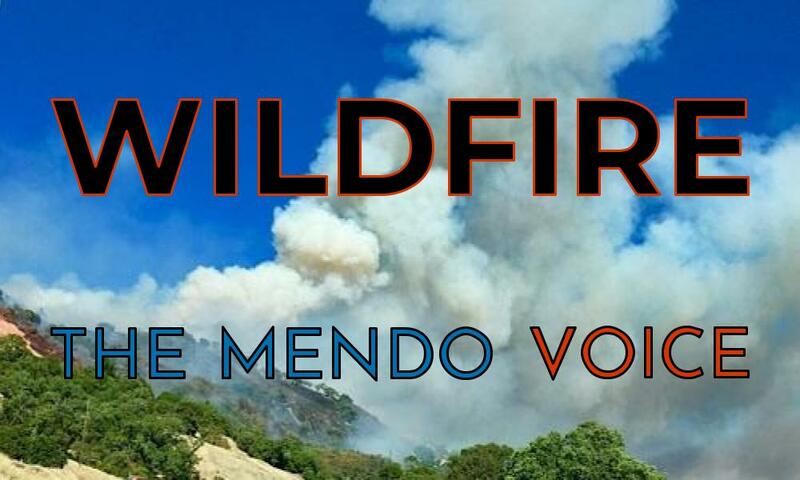 We now believe that this was cross chatter on the scanner from the Mendocino Complex, and do not believe that a structure was destroyed in Covelo. We are following up on this. They have two fires in the Covelo area, one out at the U.S.Forest Service Station and one at the North end of town. The Covelo Fire Department is being assisted by State staffing and equipment. This is a hard working small department and over the years has continually performed well.